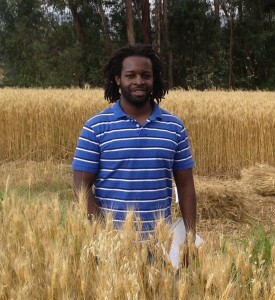 Mark Musumba is an Associate Research Scientist at the AgCenter, Mark is an agricultural economist and received both his MS and PhD from Texas A&M University. His research focuses on understanding the phenomenon that affect economic growth and development in emerging economies. Mark’s research work has four main threads: 1) examining the impacts of climate change on agricultural production, environment, and health; 2) investigating the behavioral aspects of farmers market participation in output and input markets; 3) evaluating the factors that affect human capital movement and net benefits to the household; and 4) exploring sustainability of agricultural intensification in Sub Saharan agricultural systems. Mark has worked as an agricultural economist on the Vital Signs project, an integrated monitoring system for ecosystem services in agricultural landscapes, focuses on understanding the process and drivers of agricultural intensification among smallholder farming populations in Africa. He was involved in: sampling framework design, protocol development, data collection, indicator development, field trainings, and interaction with stakeholders. He was involved in implementing this monitoring system in Tanzania, Uganda, and Ghana. Currently, Mark is working on the sustainable intensification indicator project – with a goal of developing and recommending a set of sustainable agricultural indicators across scales and ‘domains’ for scientists and practitioners. McCarl,B.A., M. Musumba, J.B. Smith, P. Kirshen, R. Jones, A. El-Ganzori, M. Ahmed Ali, M. Kotb, M. ElShamy, M. A. Rabbo, I. El-Shinnawy, M. El-Agizy, M. Bayoumi, and R. Hynninen. 2013. “Climate Change Vulnerability and Adaptation Strategies in Egypt’s Agricultural Sector.” Mitigation and Adaptation Strategies for Climate Change, DOI: 10.1007/s11027-013-9520-9. Musumba M. and Sen Gupta R. 2013. “Transmission of World Coffee Prices to Ugandan Coffee Growers in a Liberalized Economy.” Development Policy Review 31(2), 219-234. Musumba M., Jin Y., and Mjelde J.W. 2011. “Factors Influencing International Graduate Students Career Preferences.” Education Economics 19(5): 501-517. Egbendewe-Mondzozo A., Musumba M., McCarl B. A., and Wu X. 2011. “Climate Change and Vector-borne Diseases: An Economic Impact Analysis of Malaria in Africa.” International Journal of Environmental Research and Public Health 8(3): 913-930.